Who can evaluate WPMAF degrees and – in what martial art? Before any examination is conducted WPMAF office need to be notified. The person conducting the examination need to have a WRITTEN permission from WPMAF office to conduct examinations. WPMAF office will not give permissions to private martial arts. For example, WPMAF will not arrange or be a part of any examination in OKINAWA Karate, but WPMAF will arrange exams in TRADITIONAL Karate. The examination might focus only on OKINAWA Karate and its proper curriculum, but the Certificate will state TRADITIONAL. The word traditional in Chinese are 正宗 Zheng zong, and means Correct lineage. This word indicate that this examination is conducted according to the correct lineage, but named nautral as traditional; without stating what tradition. 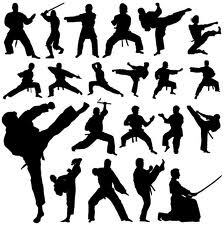 WPMAF have issued Certificates in all major martial arts. Persons that would like to have a WPMAF license to conduct exams just need to contact WPMAF office. Requierments for exams forllows the WPMAF Counsil Directive 24/03/13 for External examinations. The basic requierments are minimum 16 years of age before awarded a DAN black belt, minimum 2 years study time before black belt examination, external sensors at higher examinations, not excessive exam fees and a curriculum based examinaton (taken from WPMAF directive 12/42/14 Examination guidelines). The examinator need to have one degrees higher than the examined. Meaning you need minimum 2 dan to examine anybody to 1 dan or 5 dan to examine to 4 dan. It is also possible to apply for a WPMAF licence using a Menkyo Kaiden degree.